Have you ever dreamt to start your own blog and looking forward to earn good profit from it, but are you confused between WordPress.com and WordPress.org? Then answer is WordPress.org, where you need to host your website on a server and for that you will need best WordPress hosting provider. Unfortunately, many bloggers failed to select the best WordPress hosting provider and end up with the bad results. However, selecting a reliable WordPress hosting provider is helpful for boosting the website performance, offering security and other superior features for protecting the website. Managed Hosting: It is regarding the website and server management as your hosting provider is taking care of this. This means that factors like website security, uptime, updates and server configuration, etc is monitored by the provider. You only need to focus on your business expansion. Un-Managed Hosting: Here the scenario is completely opposite means if you are fully aware of technical concepts regarding server and website management then un-managed hosting is the ideal solution for you. You get a server with only operating system installed on it and it’s your decision whether to install WordPress, manage the server or upgrade the security, etc. Don’t get panic with the word Un-managed even though it’s a challenging job, but you can learn the ins and outs of the platform. There are various hidden costs in un-managed hosting services. You are required to hire a database admin, system admin and other staff to manage the servers. Whereas in managed hosting, you will completely eliminate the extra costs. If you have purchased WordPress hosting from one of the best WordPress hosting providers, this will save your money and time. Managed hosting empowers proactive detection of vulnerabilities and irregularities for the smooth working of the business. This will keep your website and server working efficient 24*7. In un-managed hosting, you have to posses the technical knowledge about server and website management or hire a special team for the same. If you opt for managed hosting service, it is 100% sure that you will get quality support service. Your hosting provider will help you to tackle the challenges which you will face in the future. The support staff of the hosting provider is highly experienced and this will help you to sort the glitches and other issues. In managed hosting, your website data is secure because your provider takes backup on daily or weekly basis. They know the strategies to overcome the data loss issue, whereas in un-managed, you can’t take backup of your data efficiently. If you lose any data then you are answerable to the same. Advantages of managed WordPress hosting is infinite and you have to buy the managed WordPress hosting to experience these infinite advantages. This post will help you to select the best Managed WordPress Hosting India provider to host your new website or you can consider to migrate your website. Both the plans consists of different features that you can buy depending on your requirement. iii) Server level caching, WordPress pre-configured, automatic WordPress updates. ix) WP – CLI, Brotli, Compression, SFTP. You can reach them via chat, support and email. Their support team consists of experts who have quality knowledge that will help you with the best solution. If you want qualitative WordPress service at competitive price then MilesWeb is your right destination. 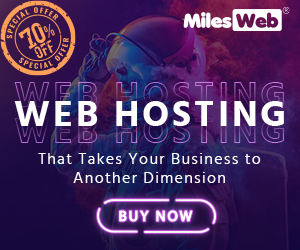 From the above screenshots, you can see that in terms of pricing MilesWeb rank first and it is affordable for everyone like you than Bluehost. You can access Bluehost’s support 24*7*365 and they are reachable via chat, phone and email. From the above snaps, you can assume that again MilesWeb is on first position in terms of pricing than Dreamhost. Moreover, only their “DreamPress” plan consists of the feature called “Jetpack Free Preinstalled”, whereas in MilesWeb WordPress hosting + Free Jetpack plan, you get free Jetpack feature included in all the plans along with superior features. Additionally, if you want more advanced features of Jetpack then you can buy MilesWeb WordPress hosting + Jetpack Professional plan. If you check their support time then you will notice, they have mentioned the time of contacting them which is 8am – 4pm PT. It means that they are not available 24*7 to serve you, whereas MilesWeb is present 24*7*365 days to serve you. In case, you encounter with an emergency issue, then it would be difficult to clear your query with Dreamhost support. You can connect them via chat, phone and email. Finally, I end here the Managed WordPress hosting comparison. Based on above mentioned comparison, I will rank MilesWeb on first, Dreamhost on second and Bluehost on third position. In terms of pricing, support and features MilesWeb wins the heart in comparison to other providers. Found this comparison worth? Do share on your social networks and suggest MilesWeb to others. I was searching for best WordPress provider and get landed on this page. Comparison mentioned is worth to know which provider is best and I got my answer – its MilesWeb! !